Does anyone still take water for granted? Maybe not, but are we doing all we can to help water conservation and water management? Cape Town recently became the first major city to risk running out of fresh water soon. By 2025, two thirds of the world’s population may face water shortages, reports the World Wildlife Fund. 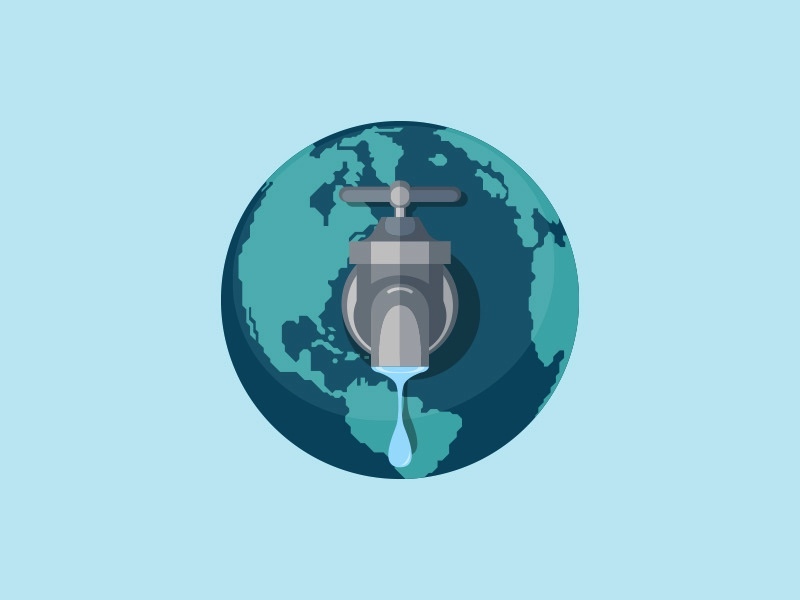 According to United Nations Water, 1.9 billion already live in areas with water scarcity. So what can we do about it on this World Environmental Day? UN-Water solutions can be found in nature. We list them here along with charity campaigns you can support on GivenGain. According to the UN body, protecting forests is one way to help manage water availability and quality. Read more here. To help, you can support Greenpop’s reforestation heroes. They have planted 80,000 trees in Southern Africa and focus on greener city spaces, planting forests and spreading awareness about the environment. Freshwater ecosystems like wetlands provide, store and filter water for drinking, food, industry and energy, UN-Water points out. Sadly, two thirds of the world’s wetlands have disappeared since the 1900s, due to the growth of cities and towns. The number of mega-cities (with more than ten million people) is expected to grow from the current 31 to 41 by 2030, but wetlands should not be built on – instead they should be included in the development and management of cities. To help, you can support environmental organisations such as BirdLife South Africa. They’re doing great work restoring and protecting wetlands for bird populations for their natural habitat. You can also support education efforts on waste and water management, such as the the Jewish National Fund Walter Sisulu Environmental Centre, which has programmes in 88 schools. Another programme, Greenpop’s Canopy Club, has reached 132,000 schools, urban sites, forests and farms across South Africa, Zambia and Tanzania. Putting economic growth above all has soiled and cut off the earth’s natural cycles. To keep surviving, we will have to learn to integrate them back into our economic system. Support the World Wildlife Fund’s work to preserve our natural habitats, promote fresh water conservation, improve our agricultural practices and use more clean energy sources. Want to do even more? Sign up your company, club or sporting event and rally your staff, participants or members to fundraise as a team for your favourite cause!